Poppy Wilson-Howarth, Ayla Waru, Kiriwai Spooner and Gen Hawkins get in-sync during an activity at Motueka High Schoolâ&#x20AC;&#x2122;s House Sports Day last Friday. Motueka tramper Ian Hunt was retrieved by the Nelson Marlborough Rescue Helicopter after a fall left him with paralysis. especially visible on the roads and highways across Nelson Bays over the coming weeks, with a specific focus on restraints, impairment, distraction and speed. Traffic checkpoints are also planned for alcohol breath screening of all drivers stopped. Reduced speed enforcement thresholds for speed cameras will be applied over the official Easter holiday period as a proven, effective tactic to reduce high speed and injury. Huia RFC ensures RDA horses well-fed The horses at Motueka’s Riding for the Disabled (RDA) are always well-fed and for the previous couple of decades it’s been thanks to the players and support staff at Huia Rugby Club. For years Huia RFC has been hay-carting as a major club fundraiser, in their heyday carting around 20,000 bales, now that figure stands around 4000, due to changes in how bales are produced. Huia Club president Mark Kelly says they initially started hay carting for the RDA after being approached by them. “They needed people to cart for them and probably found out through the grapevine we were doing it,” says Mark. Huia decided not to charge the RDA from day one and a lengthy relationship was formed. “It’s stayed that way since it started. Rugby Club has been a prominent sporting club in Motueka and the surrounding community, and is committed to being a successful, progressive and sustainable sporting club, providing multi-sports services to the community. Some ANZAC services are being cancelled around the country due to terrorism. We asked readers their thoughts? ‘The Room’ can be experienced up close and personal. It really needs to be seen to be believed. Since its launch over 60 years ago, the Duke of Edinburgh Hillary Award has inspired millions of young people to transform their lives. The Award is open to all 14-24 year olds regardless of their background, culture, physical ability, skills and interests and is the world’s leading youth achievement award. Now Whenua Iti Outdoors (WIO) is preparing to be a hub leader for the Award and would like to encourage participants to register with them. “We can take anyone from anywhere. It’ll be particularly helpful for home-schooled students,” says Nettie Stow, WIO communications and funding coordinator. Doing the Award is a personal challenge and is not a competition against others, it pushes young people to their personal limits and recognises their achievements. Today more than 130 countries have adopted The Duke of Edinburgh’s International Award programme with over 8 million young people having participated worldwide. The Award is comprised of three levels and four sections – skills, service, physical recreation and adventurous journey. “A lot of the things kids are already doing can count towards the Award. We’ll help here at WIO with adventurous journeys, we love encouraging people to get outdoors,” says Nettie. New funding to make a splash improving water quality The Government is going the extra mile backing the Sustainable Business Network’s Million Metres Streams’ project with a $200,000 funding boost, Associate E n v i r o n m e n t Minister Eugenie Sage announced on Tuesday, 9 April. “I am excited to be able to announce this funding for the Million Metres project in time for this year’s autumn planting season. for our environment by protecting nature, improving water quality, and tackling climate change. “Alongside funding help such as this, the government is making good progress in developing new rules to help protect and restore our freshwater. “I applaud the New Zealanders who are taking action to help restore rivers and streams to health by planting trees and shrubs on their banks. These provide shade to keep water cool which is good for fish, provide habitat for insects which fish and aquatic life need to feed on, reduce erosion and trap contaminants. “The Sustainable Business Network encourages projects that strengthen community partnerships and enable people get involved in new environmental initiatives,” says Eugenie. features internationally celebrated mezzo soprano opera singer, Kristin Darragh, who recently sang The Messiah with the New Zealand Symphony Orchestra. Kristin will lead the Off Broadway Big Band and guests in songs of remembrance and peace. Guests will be addressed by distinguished speakers including The Hon Phil Goff, Mayor of Auckland, and Colonel John Holley from the New Zealand Defence Force. The 24 April event starts at St David’s Memorial Church in Auckland at 6.30pm. Visit www. RememberThem.nz for more details. “As ANZAC Day approaches, we reflect on the horrific losses of World War One, and other wars. Lest we forget. We also grapple with the massacre in Christchurch. We are creating this free, community event and nationwide art project because art, like architecture, has a vital role to play in remembrance of the past and to inspire and uphold us in the present,” says Paul. Mezzo Soprano opera singer Kristin Darragh. Set upon 810m2 of delightful grounds this warm, sunny home provides comfortable living that comprises three large bedrooms and a family bathroom, traditional kitchen, and multiple living spaces. The double garage has a workshop area plus a toilet, and a laundry along with space to install a handy shower. The mature grounds have off-street parking, outbuildings and a productive vegetable garden plus flat lawns. Three dwellings across two titles - buy either or both. This combination of living space and income opportunity is a sure winner. Situated on the popular east side of town, close to the beach, golf course and town services, with options from extended family living to residential rentals or lucrative short-term accommodation. Motueka 8 Kitakita Grove Families and entertainers Spacious comfort awaits. Open plan kitchen and dining with a separate lounge to keep the family occupied while entertaining guests. Sliding doors take you outside to a private deck creating even more living space. Contemporary dĂŠcor and stylish fittings are used throughout creating a tasteful background for your personal design touches. With three bedrooms, two bathrooms and many extras this home needs to be seen. This quality-built 130m art deco home on a stunning 911m2 section has great bones and great potential to be totally restored and transformed into a stylish modern home or a home and income. Liam Hobbs and Brodie Maru use great team work to secure the balls. River Perry, Conrad Savage and Samuel Curran between activities at MHS House Sports day. Ella Oâ&#x20AC;&#x2122;Brien, Holly Young and Tessa Seymour play pirates. Jordan Richards, Ariana Mudgway and Chiara Bashford prepare for some gumboot throwing. Paige Scholefield, Grace Broomhall, Amy Gorrill, Bella Ritschny and Lisa OrmsbySquibbs enjoy the House sports. will see them attend the United Church service in Motueka before visiting Thomas Cresswell’s grave on Haulashore Island. Bev and Ernie endeavour to keep the property in the family, maintaining the family name and also the Christian principles for which William and Ann stood so long. This challenging and exciting Mapua is on oﬀ er. Roll up is you getup creative and prospect onsleeves, offer. Roll you sleeves, flat land with two homes (needing further prospect is on up you sleeves, approx. 2.1 hectares (subject to survey) of enjoy theget beneﬁ tsoffer. of your vision and hard work. Unique Lifestyle InRoll Mapua prospect iscreative on offer. Roll upthe youbenefits sleeves, and enjoy of your consents) isapprox. located inhectares the popular Mapua get creative and enjoy the benefits of your This property on 2.1 (subject flat land with two homes (needing further visionand andenjoy hardexciting work. This property on getsurvey) creative the benefits of your This challenging and Mapua to ofand ﬂat land with two homes (needing Village plenty ofpopular potential. If you vision and hard work. This property on consents) isoffers located in the Mapua approx. 2.1 hectares (subject to survey) vision and hard This property on further consents) iswork. located inup the popular Mapuaof prospect is on offer. Roll you sleeves, have imagination and areofprepared to work approx. 2.1 hectares (subject to survey) Village and offers plenty potential. Ifof flat land with two homes (needing further Village and oﬀhectares ers ofthe potential. you approx. 2.1 (subject to Ifsurvey) ofyou get through creative andplenty enjoy benefits of have your some this is athrough property consents) located into the popular Mapua imagination and areisconsents prepared work flat land with two homes (needing further have imagination and are prepared to work flat that land with two homes (needing further vision and hard work. This property on If you some consents this isconsents atoproperty that will appeal will appeal you. Village and offers plenty ofispotential. through some this a property consents) is located in the popular Mapua consents) is located in the popular Mapua to you. Come and viewatat(subject the open home. approx. 2.1 hectares survey)toofwork have imagination and areto prepared Come and view the open home. thatand will offers appealplenty to you.of potential. If you Village NEW LISTING Village offers plenty of potential. If you flat Come landand with homes (needing through some this is afurther property and two view atconsents the open home. have imagination and are prepared to have imagination and are prepared to work work that appeal you. consents) iswill located into the popular Mapua through some consents this is property Come and view at the throughand some consents this is a a home. property Village offers plenty of open potential. If you NEW LISTING that will appeal you. that appeal to toand you.are prepared to work havewill imagination Come and view at the home. Come and viewconsents at the open open through some thishome. is a property that will appeal to you. Come and view at the open home. Seeking a 3-bedroom, low maintenance familyMotueka home1 with separate lounge & Motueka Court 1HOME Avalon Court OPEN Motueka 1 Avalon Avalon Court garage/workshop space, then consider this beauty located on a 654m2 section in a Quaint Cul-De-Sac Opportunity Quaint Cul-De-Sac Opportunity Quaint Cul-De-Sac Opportunity peaceful cul-de-sac. This gem offers Seeking a 3-bedroom, low maintenance Seeking a 3-bedroom, low maintenance family Seeking a 3-bedroom, low maintenance Seeking aseparate 3-bedroom, low maintenance home with lounge & garage/workshop family homesecure with separate lounge mature gardens, fenced lawn &area family home with separate lounge & space, then consider this beauty located on a this family home with separate lounge & garage/workshop space, then consider OPEN not seen from theHOME street. You really could OPEN HOME 654m2 section in a peaceful cul-de-sac. Thisin gem garage/workshop space, then consider beauty located on a 654m2 section athis garage/workshop space, then consider this pretty much1gardens, walk tosecure most services from Motueka Avalon Court oﬀ ers mature fenced lawn area beauty located on a 654m2 section in a peaceful cul-de-sac. This gem offers beauty located on a 654m2 section in a not from the street. You really could pretty thisseen excellent address. A drive by will not mature gardens, secure fenced lawn area peaceful cul-de-sac. This gem offers much walk to most services from this excellent peaceful cul-de-sac. This gem offers Quaint Cul-De-Sac Opportunity do this property the justice itYou deserves. HOME not seenOPEN from the street. really area could address. A drive by will not do this property the mature gardens, secure fenced lawn mature gardens, secure fenced lawn area Don't itbe to enquire, themaintenance estate justice deserves. Don’t be shy tofamily enquire, the Seeking ashy 3-bedroom, low pretty much walk to most services from not seen from the street. You really could not seen from the street. really could family estate want it sold. want it sold. this excellent address.You Alounge drive by& will not family home with separate pretty much walk to services from OPEN pretty do much walkHOME to most most services from this property the justice it deserves. garage/workshop space, then by consider this this excellent address. A drive will not this excellent A drive willestate not Don't be address. to enquire, theby family beauty locatedshy on a 654m2 section in a do this property the justice it deserves. it sold.the do thiswant property justice it deserves. OPEN HOME peaceful cul-de-sac. This gem offers Don't Don't be be shy shy to to enquire, enquire, the the family family estate estate mature gardens, secure fenced lawn area want it sold. want it sold. not seen from the street. You really could pretty much walk to most services from this excellent address. A drive by will not do this property the justice it deserves. Don't be shy to enquire, the family estate want it sold. Enquiries over $649,000 Versatility is the key word here. A great set View by appointment up for the family and guests. Air BnB could Riwaka 274 Road Riwaka Riwaka 274 Main Road Riwaka 1242sqm 1242sqm A A 44 4 K4 3 1 2 OPEN HOME Riwaka 274atMain Main Road Riwaka 1242sqm A www.harcourts.co.nz/MT3663 4BB B3C 3C C1 I 1I I2 J 2J J 4K K be an option this multifaceted home on the Tasman Great Taste Cycle Trail and Full House? Problem Solved For Sale Full For Sale Full House? House? Problem Problem Solved Solved For Sale Enquiries over $649,000 convenient to key Kaiteriteri and Abelset Versatility is the key word here. ATasman great set Versatility is the word here. A great up for Enquiries over Versatility is the key word here. A great set Enquiries over $649,000 $649,000 View by appointment Versatility is the key word here. A great set the family guests. Airand BnBguests. could option up and for the family Air BnB could National Park. The 253m2 homebe isan spread View by appointment appointment View by up for the family and guests. Air BnB could www.harcourts.co.nz/MT3663 at this multifaceted home on the Tasman Great up for the family and guests. Air BnB could be an option at this multifaceted home on over 3Cycle levels which affords good separation www.harcourts.co.nz/MT3663 OPEN HOME OPEN HOME Taste Trailat convenient to Kaiteriteri www.harcourts.co.nz/MT3663 be an option this multifaceted home the Tasman Great Tasteset Cycle Trail andon be an option atand this multifaceted on and privacy for all. All this on253m2 ahome sunny Riwaka 274 Main Road 1242sqm A 4 B 3 C 1 I 2 J 4 K and Abel Tasman National Park. Riwaka The the Tasman Great Taste Cycle Trail and convenient to Kaiteriteri and Abel Tasman Ross Lockhart the Tasman Great Taste Cycle Trail and home is spread overnorth 3 levels which1242m2 aﬀords good well-established facing National Park. The 253m2 home is convenient to Kaiteriteri and Abel separation and privacy for all. All this setTasman onspread a convenient to Kaiteriteri and Abel Tasman M 027 528 4366 P 03 528 9551 Full Problem Solved For Sale blockHouse? just 53 minutes from Motueka or 15 OPEN HOME overPark. levels which affords good separation sunny well-established north facing 1242m2 block National The 253m2 home is spread National Park. The 253m2 home is spread ross.lockhart@harcourts.co.nz Enquiries over $649,000 minutes by bike on the safe cycleway. just Motueka 15set minutes byset Versatility is from the key word here. Aon great and privacy for all. All or this a sunny over5on 3minutes levels which affords good separation Property Sales Nelson and Real Estate Ltd over 3 levels affords good separation Ross by Lockhart bike the safewhich cycleway. View appointment well-established north facing 1242m2 up for the family and guests. Air BnB could Licensed Agent REAA 2008 and privacy for all. All this set on a sunny M 027 528 4366 P 03 528 9551 OPEN HOME and privacy for all. All this set on a sunny www.harcourts.co.nz/MT3663 block just minutes from Motueka or 15 Ross Lockhart be an option at5this multifaceted home on Ross Lockhart well-established north ross.lockhart@harcourts.co.nz well-established north facing 1242m2 minutes by bike on facing the safe1242m2 cycleway. the Tasman Great Taste Cycle Trail or and M 027 528 4366 P 528 Property Sales Nelson and Real Estate Ltd 9551 M 027 528 4366 P 03 03 528 9551 block 5 from block just just 5 minutes minutes from Motueka Motueka or 15 15 OPEN HOME Licensed Agent REAA 2008 convenient to Kaiteriteri and Abel Tasman ross.lockhart@harcourts.co.nz minutes ross.lockhart@harcourts.co.nz minutes by by bike bike on on the the safe safe cycleway. cycleway. Property National Park. The 253m2 home is spread Property Sales Sales Nelson Nelson and and Real Real Estate Estate Ltd Ltd Licensed Agent Agent REAA REAA 2008 2008 over 3 levels which affords good separation Licensed and privacy for all. All this set on a sunny Ross Lockhart well-established north facing 1242m2 M 027 528 4366 P 03 528 9551 block just 5 minutes from Motueka or 15 ross.lockhart@harcourts.co.nz minutes by bike on the safe cycleway. This will likely be the cheapest home to be sold inMotueka Motueka thisPah year. Leasehold. Motueka 86 Pah Street 86 Street OPEN HOME Motueka Street Sitting on a 86 sitePah of 832m2, the modest twobedroom house needs a bit of love. The Cheap Cheap Cheap Cheap Cheap Cheap Cheap Cheap Cheap double garage hascheapest benefited from some This will likely be the cheapest toin be This will likely be the home tohome be sold This will likely be the cheapest home to be This will likely be the cheapest home to of be Motueka this Leasehold. Sitting on aliving site sold inyear. Motueka this year. Leasehold. kiwi ingenuity and now offers extra sold in Motueka year. Leasehold. 832m2, the modest two-bedroom house sold inSitting Motueka this year. Leasehold. on a this site of 832m2, the modest twoOPEN HOME space. Rent reviewed @$9555 pa tillneeds 2025. OPEN HOME a bit of bedroom love. The double garagea has beneﬁ ted Sitting on a site of 832m2, the modest twohouse needs bit of love. The Sitting on a site of 832m2, the modest twoSay goodbye the landlord secure Motueka 86to Pah Street from some kiwi ingenuity and nowand oﬀers extra a bedroom house needs a bit The double garage has benefited from some bedroom house needs a@$9555 bit of of love. love. living space. Rent reviewed pa till The 2025. place of your own. Opportunity doesn't kiwi ingenuity and now extra living double garage has benefited from some Say goodbye to the landlord andoffers secure a place double garage has benefited from some Cheap Cheap Cheap always knock - sometimes it just presents OPEN HOME space. Rent reviewed @$9555 pa till 2025. of your own. Opportunity doesn’t always knock kiwi ingenuity and now offers extra living kiwi ingenuity and now offers extra living itselfwill disguised asthe hard work. sometimes it justbe presents itself disguised astohard This likely cheapest home bea Say goodbye to the landlord and secure space. Rent reviewed @$9555 pa till 2025. space.place Rentofreviewed @$9555 pa till 2025. work. your own. Opportunity doesn't sold in Motueka this year. Leasehold. Say to landlord secure a OPEN HOME Say goodbye goodbye to the the landlord and and secure a always knock sometimes it just presents Sittingofon a site of 832m2, the modest twoplace your own. place of your own. Opportunity Opportunity doesn't itself disguised as hard work. doesn't bedroom house needs a bititof love. The always -- sometimes always knock knock sometimes it just just presents presents OPEN HOME double garage has benefited from some itself itself disguised disguised as as hard hard work. work. kiwi ingenuity and now offers extra living space. Rent reviewed @$9555 pa till 2025. Say goodbye to the landlord and secure a place of your own. Opportunity doesn't always knock - sometimes it just presents itself disguised as hard work. Fancy an eco home powered by a solar array with generator back up and mains 520 Motueka Motueka River Westbank Road 520 Motueka River Westbank Road 520 River Westbank power an option? Check this out atRoad the first Open Home this weekend. Offering 4 large First Open Home First Open Open Home First Home bedrooms, this ispowered ahome wellpowered built and well Fancy an eco a solar Fancy an eco home by a solar array Fancy an home powered byby a solar Fancy an eco eco home aaccess solar with generator back uppowered and mains power an array with generator back by up and mains specified home. Double internal array with generator up and mains option? Check thisoption? out atback the ﬁrst Open Home array with generator back up and mains power an Check this out at the first garage and 162m2 free standing farm shed. this weekend. Oﬀering 4 largethis bedrooms, this power an option? Check out at the first Open Home this Offering 4 large power an option? Check this out at the first The property offers aweekend. mix ofhome. plantation 520 Motueka River Westbank Road is a well built and well speciﬁ ed Double Open this weekend. Offering 4 large bedrooms, this is a well built and well Open Home Home weekend. Offering 4 pines, large internal accessthis garage and 162m2 free standing forest, native bush and regenerating specified home. Double access bedrooms, this is a well built and farm shed. The property oﬀers ainternal mix ofwell plantation bedrooms, this is a well built and well First Open Home trails and a pond. 15 minutes from the garage and and 162m2 free standing farm shed. forest, native bush regenerating pines, trails specified home. Double internal access specified home. Double internal access centre of town. For sale and a pond. 15 minutes from the of centre of town. Fancy an eco home powered byRating afarm solar The property offers abelow mix plantation garage and 162m2 free standing shed. garage and 162m2 freeand standing farm shed. For saleforest, below Ratingbush Valuation. Valuation. native regenerating pines, array with generator backof up and mains The offers a The property property offers a mix mix of plantation plantation trails and a pond. 15 minutes from thefirst power an option? Check this out at the forest, native bush and regenerating pines, forest,centre nativeofbush regenerating pines, town.and For sale below Rating Open Home this weekend. Offering 4 large trails a Valuation. trails and and a pond. pond. 15 15 minutes minutes from from the the bedrooms, this is a well built and well centre centre of of town. town. For For sale sale below below Rating Rating specified home. Double internal access Valuation. Valuation. garage and 162m2 free standing farm shed. Hi All, With the change of seasons people are going to have to modify how they are driving. Cooler mornings means that when cars are parked outside their windows are colder and fog up more. When frosty they will be very hard to see out of. This is just another small thing that alters everyone’s driving safety – it hasn’t been a good few weeks lately for road safety and crashes. Two fatal accidents - a cyclist and motorcyclist. I have been to two crashes on the coastal highway in the last few months where people have either run into a car turning into a side road or have crashed avoiding a car turning - the driver’s simply weren’t paying attention. Nelson police got 20 people on cellphones in an hour, I caught 10 people speeding on Grey Street in a week. No wonder we have some of the accidents we do. If you are reading this and know you talk on your cellphone whilst driving then make a real effort to stop that behaviour – it is downright dangerous for you and every other road user you pass. Take care out there. Drop in Techy Time Thursday April 18, 2-4pm Suitable for children 7+ Arty April – Be an Artist Thursday 18 April, 10-11am, for 4-9 yr olds Tuesday 23 April, 10-11.30, all ages, pre-schoolers welcome For children 4-9 years old Spoiler Alert at Motueka Library 8 April – 10 May, Prizes to be won Get your inner comic artist out and enter our 12+ teen reading competition. per month 10GB plan, or above. per month over 36 months with a $49 deposit. Kai Fest, a special event for Motueka and what a enormous success it was, and thousands of people attended. A cultural extravaganza, food, music, exceptional stalls and most importantly, families. I must have spent the first half hour, just wandering from one delicious food outlet to another, and of course I bought a delicious curry chicken on rice for lunch, and most certainly wouldn’t share! The entertainment was awe inspiring, as a very appreciated audience watched and gasped, as young gymnasts climbed long poles, and wrapped themselves around sheets, and then dropped! The music was so catchy, especially for the children, and they took part and had a great time! A “Bake Off” took place, and would be Chefs cooked their specialty food, and I’m sure it was a nightmare for the judges! A superb Band from Wellington entertained, and soon had a group up, dancing their stuff! What great family fun, and a marvellous day out at Kai Fest in Motueka. A “Festival” organised to perfection. Kai Fest can only grow and become the District’s main family event for the year. Congratulations to all involved, and not a scrap of rubbish litter to be seen left on the green, awesome! Well done! Kai Fest, you are a real winner, and I will be back next year, wouldn’t miss it, and may even strut my stuff? Grace Turner Dear Editor, “War and Peace”, and which do you want? Sport has replaced wars, only in some countries, unfortunately. The Crusaders are on a peace mission, without horses and swords, no doubt, but sport is what they participate in, and enjoy! No one loses a life, and somebody always wins! Keep the “Red” shirts going, as Red means compassion and love, so not a problem! Euan Grant On Sunday April, 14 at the Motueka Community Patrol AGM Euan Grant was elected as Patrol Leader. “I agreed to make myself available for the elections. It’s a little too early at present to say what I hope to achieve. For the time being I’ve been busy working on the rules of the organisation,” says Euan. Cruise for charity in 2019 around D’Urville For the first time since 2017 Abel Tasman Sea Shuttle Cruises, in association with the Rotary Club of Motueka, are again generously offering their vessel ‘Crusader’ for cruises around D’Urville Island in aid of charity. phins. Tickets are $125 each, limited to 100 per cruise and will be available from Motueka i-Site and Nelson i-Site (details below). Any cancellations will be notified on www.abeltasmanseashuttles.co.nz. If a sailing is cancelled because of weather conditions it will be rescheduled or the ticket cost will be refunded. All proceeds will be donated equally to the chosen charities, which are: Nelson Tasman Hospice Trust Nelson Marlborough Rescue Helicopter Trust ROMAC (Rotary Oceania Medical Aid for Children) Big Brothers Big Sisters of NelsonTasman. From the previous excursions in 2016 and 2017 a total of $72,000 has been donated to charities. Motueka Rotary wishes to highlight the generosity of Abel Tasman Sea Shuttle and the Keith Knapp family in again providing their vessel totally free of charge and the crew for giving their own time to provide this wonderful opportunity. Cruisers board the Crusader on a previous trip. Motueka i-Site contact details: Telephone: 03 528 6543 Email: info@ motuekaisite.co.nz Street Address: 20 Wallace St, Motueka Nelson i-Site contact details: Telephone: 03 548 2304 Email: nelsoncity@nelsonnz.com Street Address: Millers Acre Centre, 77 Trafalgar St, Nelson. song for most seasons and this year being our 50th anniversary will be no different as we cap the season off with the normal action-packed race programme as years gone by. All the action this year will happen in just the one show as the normal two-day show has been reduced to a single day. We will see competitors from Christchurch, Greymouth, Blenheim and as far away as Dunedin here to compete in all classes running. Sidecar 17N charging hard and some typical Stockcar action. Photos supplied by ImagePress. Championships are being contested across all classes as well so the competition will be intense across the board. For over 45 years MTF Finance For over 45 years MTF Finance has been making it easier for has been making it easier for New Zealanders to get the New Zealanders to get the things they need. things they need. Talk to MTF Finance Nelson today. Talk to MTF Finance Nelson today. Terms, conditions and lending criteria apply. Terms, conditions and lending criteria apply. open at 3.00pm and more info, including gate prices, can be found at nelsonspeedway. co.nz. See you all there. Tickets also at Richmond Mall. See website for cancellations. Tickets also at Richmond Mall. See website for cancellations. donated a 7x4 caged trailer, Discover New Zealand provided a week’s campervan use and the Richmond Mall provided mall vouchers to go towards the silent auction. The Warratahs commented that the attitude and energy from people who turned up to enjoy the event was ‘absolutely amazing’ and they enjoyed it. During the late 1800s a workshop was established at Greenwood St, Motueka under the name of York & Sons – Coach Builders. Paul has over 40 years of experience in vehicle diagnostics and is our local AA breakdown contractor. This service is on call 24/7 and offers a 24hr call out service. From stagecoaches to drag cars, for over 120 years vehicle repairs and maintenance have been carried out from this iconic site. After a fire in the 1930’s the site was rebuilt as an automotive workshop and has been functioning as such ever since. In most cases, Paul is able to fix the problem at the roadside and have you safely on your way. The AA Breakdown Service will provide you with expert advice and, if extra support is needed, will tow your car to the nearest place of safety or repair. Many locals know the history of this popular family business, which was rebranded as Pioneer Motors in the ’80s when Paul Hawkes last owned this popular business. Paul owned and operated the business for over two decades, then handed the business to the Parkes family. They then carried on the automotive history of this legendary Motueka site for 13 years. On April 1st Paul Hawkes took over the reins once again and is thoroughly enjoying being back in the saddle. The historic site at 11 Greenwood Street in the 1890’s when it was York & Sons - Coach Builders. Paul is an enthusiastic individual with some excellent ideas and changes up his sleeve for Auto Super Shoppe Motueka. One of which is offering a basic skills course, topics will include; how to change a tyre as well as basic maintenance. Give the team a call if you are interested. All of your reliable seasoned auto technicians still remain onboard after the change in ownership, with a ne face oining the team. ec’s Greaney has recently come onboard as perations anager her cheerful friendly dispostion instantly put’s people at ease. 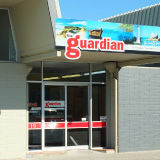 There’s a range of automotive services available at Auto Super Shoppe Motueka including: Car Servicing, Warrant of Fitness (for cars, trailers, caravans and motorcycles), Tyres, Brake Repairs, Cambelts, Mufflers, Car Batteries, CV Joints, Electrics, Engine Management and Diagnostics if it’s vehicle related they will see you right. The talented team of technicians and mechanics at Auto Super Shoppe Motueka are fully qualified and wellseasoned professionals. This trusted line-up have near on two hundred years of experience between them, along with a myriad of impressive awards and qualifications. If it’s quality workmanship you are searching for then look no further. Make the most of these WOF related specials: • Get a full lube service and get a F inspection. • omplimentary pick up and drop off service ithn the otueka for those re uiring a F.
Automotive Troubleshooting Keeping on top of vehicle maintaince and repairs will usually save you a great deal of money in the long run. If you are concerned about any of the issues below, please get in contact with Auto Super Shoppe Motueka for advice. Electrical and Diagnostics Slow-cranking, rough idling, stalling, knocking, or pinging while accelerating are all signs that you should seek engine repairs or engine diagnostics to determine the full extent of your engine trouble. A decrease in fuel mileage and detectable loss of power during acceleration are also signs of an impending engine tune-up or engine repair service. Engine warning lights help alert drivers to minor issues before they become major repairs. If the Diagnostics System lights up and detects a problem then Auto Super Shoppe Motueka have the equipment and knowledge to resolve it. Exhaust Systems A faulty exhaust system can affect both your vehicle’s performance and your ability to drive. A repair service or inspection may be impending if you hear excessively loud noises during acceleration. Such noises could be a sign of holes or cracks in the exhaust system. Rattling noises when starting the vehicle or excessive idling may be a sign of failed or broken hangers. Brake Systems A fully functioning brake system is crucial. Bad brakes display warning signs for impending brake maintenance. The brakes squeal or grind when in use, your brake pads may be worn and require replacements. If your vehicle pulls to one side when braking, then this may point to worn brakes, a malfunctioning caliper, or low brake fluid in the brake lines. The brake pedal presses down too easily, aka “spongy” brakes, then it could be an indication of too much air in the hydraulic brake lines. Transmission Whether you drive a manual, automatic, or semi-automatic vehicle, the transmission plays a crucial role in the performance and reliability of your vehicle. Symptoms of a faulty transmission include grinding gears, difficulty shifting, slipping out of gear, bucking, and hesitation. In a manual transmission, a dragging clutch, or a clutch failing to disengage from the flywheel, is another sign of an issue. When this happens, the clutch continues to spin with your vehicle’s engine, and a grinding noise will occur. A burning smell sifting through the air vents is a sign of burning transmission fluid and an overheating transmission. This Easter Sunday over 10,000 people will gather in Mapua to enjoy the largest fair in the region. The Mapua Easter Fair is a rite of passage for locals, lending itself to fond memories of superb entertainment, stellar food, rides, activities and the pièce de résistance, treasure hunting. Image by anitakatrinaimages.com At the Mapua Easter Fair you’ll discover over 200 different stallholders along with bouncy castles, pony rides and a white elephant stall. There really is something for everyone, including treasure. Held on the grounds of the stunning Mapua Domain, the fair is the key annual fundraiser for Mapua Primary School and Mapua Playcentre. It’s a gorgeous site, bordered with trees, places to lay out a picnic blanket and make a day of it. And the Playcentre will open its gates to provide a space for younger children to play and families to relax, fantastic! But wait, there’s more, step inside the Mapua Hall and you’ll discover the beckoning invitation of a silent auction. You’ll find the silent auction is replete with a cornucopia of donated treasure. Bid on works of art, accommodation, adventure experiences, landscaping there’s so many choices. ‘Waste No More’ are helping at the four recycling stations ‘helping people put their waste in the right place so we can recycle as much as possible’. Everyone is encouraged to BYO coffee cup for use with coffee vendors, BYO water bottle to refill and BYO bags to carry all those goodies home from the white elephant and other stalls. Molly Donoghue - Celtic Pipe Band. Welcome to the Fair, Mapua School. Harriett, Zara & Lucy; Giselle & Mia Hillary Gregory - Mapua Private Music. Mapua Mother Pluckers - Ukelele Band. Shane Cammell - Fingerstyle Guitarist. Move Good Now - Dance Fitness in Mapua. South Island Marine Recreational Fishing Working Group proposed A BIG thank you to everyone who makes the Mapua Easter Fair possible every year. The Mapua Easter Fair Committee organises the annual event. This group includes individuals and teams that oversee: stall holder bookings, traffic & parking, communications, volunteer rosters, finance, entertainment, café, logistics, health & safety, white elephant, silent auctions, playcentre liaison and electrical. It simply wouldn’t happen without the backing of all the school and playcentre families and many more within the wider local area. Everyone gets on board volunteering their time, skills and resources for the day - it’s a great way of meeting new people within the community and every little bit counts and is really appreciated. Our past has done much to shape our world. Men and women left our shores and so very many did not return. Those who did went back to their former lives, yet their patronage and connection should not be forgotten. The word Anzac is part of the culture of New Zealanders and Australians. ANZAC conjures up a shared heritage of two nations, but it also has a specific meaning. Anzac is the acronym for Australian and New Zealand Army Corps. This corps was created early in the Great War of 1914–18. In December 1914 the Australian Imperial Force and New Zealand Expeditionary Force stationed in Egypt were placed under the command of Lieutenant General William Birdwood. Initially, the term Australasian Corps was suggested, but Australians and New Zealanders were reluctant to lose their separate identities completely. No one knows who came up with the term Anzac. It is likely that Sergeant K.M. Little, a clerk at Birdwood’s headquarters, thought of it for use on a rubber stamp: ‘ANZAC’ was convenient shorthand. Later the corps used it as their telegraph code word. The Anzacs first saw action at Gallipoli on 25 April 1915. The small cove where the Australian and New Zealand troops landed was quickly dubbed Anzac Cove. Soon the word was being used to describe all Australian and New Zealand soldiers who fought on the Gallipoli Peninsula. Eventually, it came to mean any Australian or New Zealand soldier. The RSA Poppy Appeal has been a part of the New Zealand calendar since 1922, making it one of the country’s oldest nationwide appeals. This year the appeal acknowledges the forgotten sacrifice that is made by families of service personnel. We are all family – He whanau kotahi tatou Servicewomen and men often travel for long periods of time. It can be both scary and unsettling for those left behind. Upon leaving the forces many serving personnel can struggle with mental health and transitioning to civilian life. This year we recognise the role of the family who by association also ‘live through’ and are impacted by these challenges. In addition, they involuntarily become the primary support people and as such, make a significant sacrifice. Approximately 80% of referrals to the RSA support services (a nationwide welfare network) come from friends and family who are concerned about their friend or partner. The RSA aim to make this easier and ensure service personnel and their families know we are able to help. How to wear the Poppy The poppy is a symbol of remembrance and recognition of sacrifice. On Poppy Day, we exchange a donation for a bright red paper version and proudly pin it to our chest. Our only rule is this: wear the poppy with pride, and respect. You can pin your poppy in your hair, on your scarf, in your shirt pocket or on your blazer. You can wear it only on Anzac Day, or for as long as you see fit. As long as you wear the poppy and understand why it’s important, that’s all that matters. Services and Parades Thursday 25 April 2019 Tapawera Service – 10.00 am Memorial Hall. Richmond Parade – 10.45 am from Sundial Square. Service – 11.00 am at War Memorial Gardens, Cambridge Street. Brightwater Service – 9.00 am at Brightwater Memorial Hall Gates. Wakefield Service –10.00 am at the Wakefield Hall. Motueka Parade – 6.15 am from the Motueka Bowling Club Carpark, Pah Street, Motueka. Service – 6.30 am at the Cenotaph. Murchison Service – 11.00 am at the Memorial in Waller Street (Murchison Sport, Recreation and Cultural Centre if wet). Mapua Parade – 10.45 am. Starts adjacent to tennis courts. Service – 11.00 am at Mapua RSA Memorial Library, followed by morning tea at the Mapua Hall. A plate would be appreciated. Upper Moutere Service – 10.00 am at the Domain. Tasman Service – 10.00 am at the Memorial. Riwaka Laying of Wreath – 9.00 am at the Riwaka Memorial. Ngatimoti Laying of Wreath and Service – 10.30 am at the Ngatimoti Memorial. Takaka Dawn Service – 6.15 am at the Takaka Memorial Reserve. Parade – assemble outside Golden Bay Pharmacy at 8.45 am for 9.00 am service at the Takaka Memorial Reserve. Collingwood Dawn Parade – assemble 6.15 am. Service – 11.30 am in the Collingwood Memorial Hall. Lake Rotoiti Service – 10.30 am in the Lake Rotoiti Community Hall. Small but high-quality literary festival coming to Mapua Protecting New Zealands Military heritage The NZ Remembrance Army’s mission is for every service grave in New Zealand to be cleaned and restored by 2020. Its a simple mission. We work with RSAs, veteran assocations, schools, cadets and anyone who has an interest in helping us. We are a diverse group with one mission. Kiwis recognising Kiwis. Join up, do a little, do alot. Its up to you. Airman, Sailor, Soldier, Nurse or Servicewomen, they all deserve their contributions to be protected and maintained for future generations. records her year of daily wild swimming as well as being a history of New Zealand outdoor swimming. Renowned poet and art writer Gregory O’Brien will be attending, along with poet Jenny Bornholdt, and Thomasin Sleigh will speak about her novel Women in the Field, One and Two, which looks at the Modernist moment in the establishment of the New Zealand National Art Gallery from a feminist perspective. Lynn Jenner will discuss the relationship between words and land, and Eirlys Hunter, whose adventure novel The Mapmaker’s Race has delighted many children, will hold a session at the festival, as well as participating in one of the community events organised around the festival by the Mapua Community Library. “The Mapua Community Library is delighted to be hosting Mapua’s fifth Literary Festival, this year in tandem with VOLUME,” says Carolyn Hughes of the Community Library committee. “The events start on Friday afternoon with storytelling, writing and illustrating workshops for local school children, followed by a ‘literary’ Quiz Night fundraiser for the library and supper in the evening.” The authors’ sessions will take place on the Saturday and Sunday. “The programme we are delivering this year takes the Mapua Literary Festival to a new level,” says Koed. “People from Mapua, Nelson and beyond will find much to excite them - and the community library benefits, too.” The full programme will be released in May. In the meantime, the public is being invited to ‘Save the Date’: 20-22 September 2019. Thomas Koed & Stella Chrysostomou are behind the VOLUME Mapua Literary Festival. bers at the club, established in 1909, and they welcome new members any time, at their location of 44 Pah Street. Roll up days are Tuesday, Thursday and Saturday’s from 1pm. With an artificial green the club is open 12 months of the year. Barry: 100x2, 112 Jody: 125x2 James: 100x2, 123, 132, 137, 139, 125, 110F, 140x2, 171, 180, 170B, 130B Julz: 100x5, 130 Robert: 100x4, 125, 116B, 120B Stacey: 120x2, 134 Nathan: 100, 120 Cynthia: 170 Katrina: 100, 107B, 104B, 118 John: 120 David: 100, 109, 135, 140 Rachael: 117 A big thank-you to Steve Bethell for donating a dart board and congratulations to James on his 180’s. Community Notices are free to charitable trusts, gold coin entry where any monies gained go back into a community project. Notices for businesses and organisations who charge for courses or events cost $12.50+gst. No AGMs, sports notices or church notices. DEADLINE: 12 NOON MONDAY. 30 WORDS OR LESS BY EMAIL ONLY. Please send to: guardian.motueka@xtra.co.nz We regret if your community notice ad has not made this week’s column, it is due to the popularity of this column and inclusion cannot be guaranteed for free ads. SURVIVORS AND THRIVERS MOTUEKA If you have or have had cancer, supporting someone with cancer come along and meet others in this friendly atmosphere. Register 539 1137 or info@ cancernelson.org.nz MONTHLY CARERS SUPPORT GROUP For Partners / Family / Friends who are supporting someone with cancer, or recovering from cancer. Come and meet others and discuss what you would find helpful from this group. Register 539 1137 or info@cancernelson.org.nz BREAST CANCER SUPPORT GROUP Cancer Society Nelson 102 Hardy Street, if you have or have had breast cancer come along to this friendly atmosphere. info@cancernelson.org.nz or phone 539 1137 for details MINDFULNESS AND RELAXATION For people affected by and/or supporting someone with cancer. Tuesdays 1pm Fairfield House $3 donation to Cancer Society phone 539 1137 PROSTATE CANCER SUPPORT GROUP Meet 1st Thursday of month Broadgreen House 276 Nayland Road 1.30 to 3.30pm contact Bill phone 544 8635 or 539 1137 BLOOD CANCER SUPPORT GROUP Meet monthly for more information phone Graham 544 2636 or Lloyd 544 2636 COLORECTAL CANCER SUPPORT GROUP Cancer Society Nelson 102 Hardy Street, for those who are going through or who have gone through colorectal cancer, and their carers/support people. Register 539 1137 or info@cancernelson.org.nz BOOMERANG BAGS MOTUEKA Sewing bees take place every 2nd and 4th Sunday of the month at MoTEC (9 Pah Street - side door) between 1 and 3 pm. All skill levels welcome. More information from 027 528 4563 DO YOU HAVE A DRINKING PROBLEM? Join us at Motueka Alcoholics Anonymous meetings 7pm Wednesdays and Fridays at the Family Centre, Talbot Street. Friendly confidential support. INNER WHEEL CLUB OF MOTUEKA Is a womens club who meets monthly to promote friendship, fun, speakers, outings and service. Why not join us? Phone Ann 528 8099. KATRINA ANDERSON, JUSTICE OF THE PEACE Available at Community House - Thursdays 9.30-12. MOTUEKA RED CROSS IN COMMUNITY HOUSE Hours - 10am to 2pm Mon - Fri. AGE CONCERN TEA & TALK Every Wednesday 65 and over. 24a Tudor Street ph 035284120 GateWay Free Transport GATEWAY THE SHED Ph 035284120 for info. Daily activities, art-mindfulness-Tai Chi coffee and chat 10 am- 2pm week days. Pop in for a monthly planner. MOTUEKA COMMUNITY GARDENS Are you interested in having an allotment or helping with maintenance and growing vegetables for the local support groups? contact (MotCommunityGardens@outlook.com). FRIENDS & NEIGHBOURS Varied programs of interest, friendship and good morning tea. Third Friday each month 10:30am to 12:30pm at Tasman Bible Church. Lorna 5284902 or Jane 5266709 SENIORNET MEMBERS have one on one help sessions with their computers etc. To join Seniornet Motueka, phone Maureen on 528 0630 or go to www.seniornetmotueka.org.nz MOTUEKA REBUS CLUB Welcomes you to our next meeting 10.00 am Friday 26th April, great speakers and warm fellowship, all welcome. Contact John Croxford 0274082206. Note: NO meeting Good Friday. CREATE YOUR OWN PIECE OF MODERN ART - 1-1 guidance - tutor Ariadne Smith. For beginners and more experienced. Saturday 4th May 10 am to 3.30 pm. Proceeds to charity. Contact Ali at alibrownweaving@gmail.com ph 03 526 8786 MOTUEKA BASKETBALL ASSOCIATION AGM Monday 6 May 2019, 6pm at Motueka High School Staff Room. carpet cleaning TASMAN Carpet Cleaning - Great service, eco-friendly, great value, for a free quote ring Greg 0274 300 626. Garage sales are free for up to 16 words and must be either emailed or brought into the office. Phone calls not accepted. Businesses will incur normal charges. SATURDAY 9AM Excercycle, juicer, food vacuum sealer, dehumidifier, books, gardening magazines. 40 Queen Victoria Street MONSTER Combined garage / craft sale Riwaka Valley Road. Good Friday & Saturday rain or shine. HEDGE trimming, Tree work, Flax removal, Gardening. Pls contact Matt 021 261 3501 references available. 2 RESIDENTIAL properties for sale or swap for land or house and land, in country max 30min drive from Mot. 1) in CBD, house 100m², land 1,450m², 3 bed. 2) 5min drive from Mot, house 125m², land 966m², 3 bed. For enquiries contact 03 5284933 after 7pm or 027 256 8527 to discuss negotiation. As a leading Australasian manufacturer and supplier of quality wood products, we’re delivering excellence not only to customers, but also to those in our team. We’re a business that’s well established, well respected and well equipped to provide our people with all they need for a fulfilling and rewarding future. Machine Operators - Nelson Your career, your goals, your drive. Our people are our success. If you’re thinking about a career change, or a manufacturing role that will challenge and motivate you, then join us, as we are looking for Operators at our Eves Valley Sawmill. What’s on offer? • Career and development opportunities • On the job coaching and training by highly dedicated industry experienced Managers • Learning and educational support towards National Certificates and qualifications • Various shift patterns and hours of work (depending on what suits your lifestyle) • An awesome, supportive team culture – an opportunity to develop lifelong friendships! • An opportunity to be employed in a long term, primary industry within NZ If you are eager to learn, or have experience, willing to get stuck in and give new things a go, mechanically minded, a team player, and motivated, then this is a great chance to build your career with us. In return we offer a competitive wage plus various benefits including superannuation and medical scheme. If you think you’ve got what it takes to perform this role in our business, then we’re keen to talk with you! Please apply online to express your interest in joining our Nelson team. Visit www.chhwoodproducts.co.nz to find out more about working for us. storage HANDYMAN Storage. Motueka's newest most secure storage unit. Security cameras. Insurance approved. 26 Huffam St, Motueka. Ph 0274 344 254. Courtesy trailer available. STORAGE Systems Motueka. Secure self storage available from $6 a week. Ph 528 4060. TASMAN Storage units available from $5.90pw. Clean, dry, secure units. Insurance approved. 24/7 access. Phone 528 0071.
stump grinding STUMP Grinding, tree felling. Stumps ground to mulch for ready gardening. Ph: Andrew 021 081 82 123, AH (03) 553 0633.
trades CHIMNEY SWEEP Phone Steve 021 0810 1146.
who was pipped at the post to finish just .4 of a second behind the winner. “Ethan put up a really fantastic fight which was really good,” says Peter. Other notable moments belonged to Connor Kenyon who suffered three flat tyres in his enduro race and Jody Stow who rode a flat tyre ¾ of a lap in a bid to reach the technical zone. Result highlights – Ethan Woods 2nd XC U15 Bryce Walker 10th DH U16 & 16th U16 Enduro Jody Stow 14th DH U17 & 15th U17 Enduro Oliver Bradley 16th U14 Enduro Hamish Creagh 20th DH U14 Jesse King 21st DH U20 Flynn Skillicorn 34th U15 Enduro Flynn Skillicorn lets it rip on the course.